Over the weekend at Quality Carpet Cushion on the northern outskirts of Lafayette, Georgia as the evening crew were beginning their shift, a combustible dust related fire flared up adjacent to machinery that chops and shreds recycled foam in the manufacture of bonded polyurethane carpet padding. Dozens of firefighters from surrounding communities responded to the four alarm fire and finally where able to quench the billowing inferno 20 hours later the following day according to news reports. Company officials have yet to comment concerning the incident, yet the entire shell-shocked town of Lafayette is still trying to recover from the dismal Sunday where approximately 100 workers in the community depend on the plant for their livelihood. Luckily there were no injuries only an overwhelming negative economic impact on a small town community that is already feeling the ripples of a nationwide housing slump and no hope for the future since the facility was gutted out with fire and water damage. 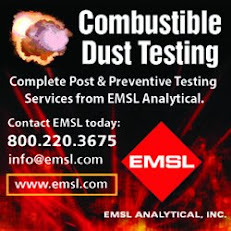 Combustible dusts are generated from the grinding process of the combustible particulate solids of polyurethane which has a minimum ignition temperature close to the heat of a recently extinguished wooden matchstick . 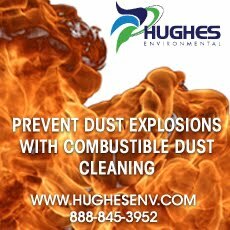 Inattentive housekeeping is a leading factor in combustible dust fires and explosions such as the tragic event that claimed 13 lives and over 50 injuries in Port Wentworth, Georgia nearly two months at the Imperial Sugar Refinery. Remove the fuel from the fire triangle and the possibility of a fire is also removed. Removing the fuel factor is easier said than done. Especially when the workspace also becomes part of the manufacturing process; compounded with a process that grinds over 4 million pounds of combustible particulate solids (polyurethane) a month in suppling consumer demand for bonded carpet padding . 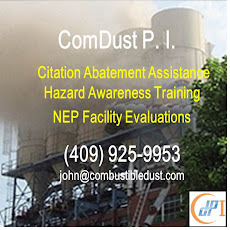 With over two dozen nationwide facilities similar to Quality Carpet Cushion in the manufacturing of bonded polyurethane carpet padding, industry trade associations such as the Carpet Cushion Council and Alliance for the Polyurethanes Industry need to convene as a collaborative group to reevaluate the manufacturing process in the prevention and mitigation of future combustible dust incidents. In the meantime there won't be any shift work at the Quality Carpet Cushion for awhile.